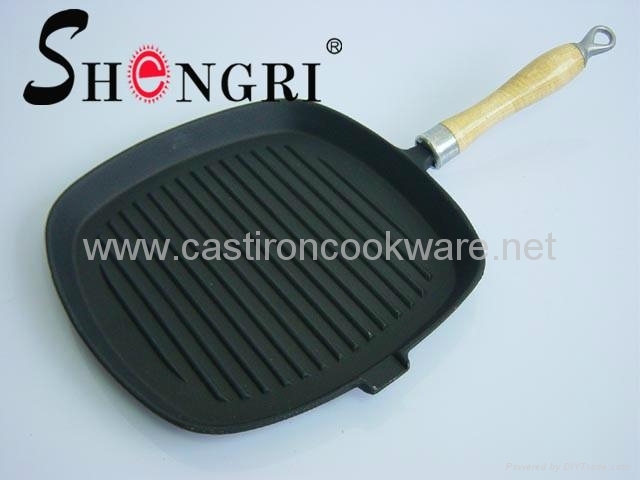 2.With ribbed bottom for low-fat cooking. 3.Large, extra-long wood handle with a ring can be hanging. 5.Surface Finish: Pre-seasoned/matte black/Bake black coating. 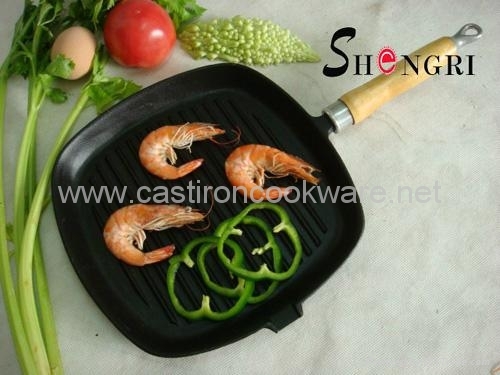 Advantages︰ Cast iron is very healthy,supplement iron to the body. Wooden handle stay cool.